Number of volunteers 3. Dave Garnett, Jim Gough, Graham Mortimore. 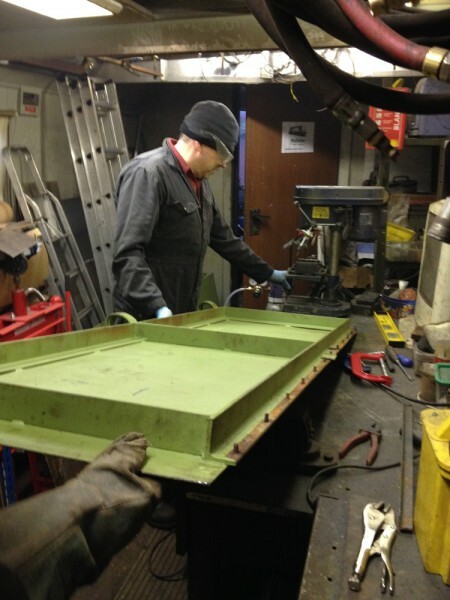 The jobs for the day were to continue repairing the offside engine room doors. We had already repaired two random doors and decided that some kind of order was needed to move forwards. 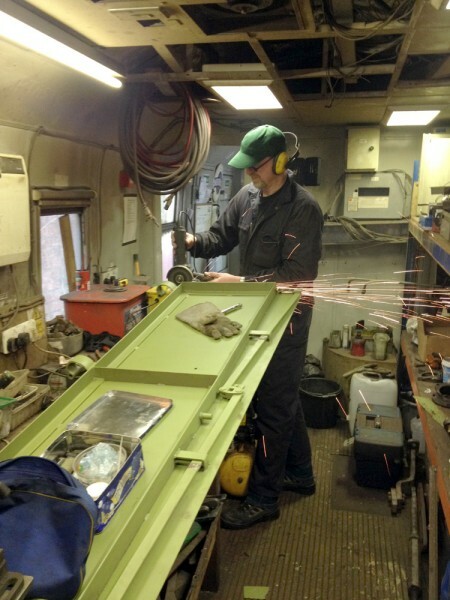 Dave and Graham went to the loco to get the No2 door off. This had been hammered onto its hinges at some point and had caused some damage to the frame. When we come to refitting it some serious repair work will have to be done to the door frame. Fortunately the door came off its hinges a lot easier than we thought and the door was removed to the coach for renovating. The plasma cutter and compressor were set up for cutting out the rusted steel and cut new steel. This process was going great until all the electrics shorted out. Unfortunately the plasma cutter was the cause of this and despite several attempts to repair it I think we are going to have to consign it to the scrap pile. Jim has repaired it on several occasions in the past but this time it was not having it. 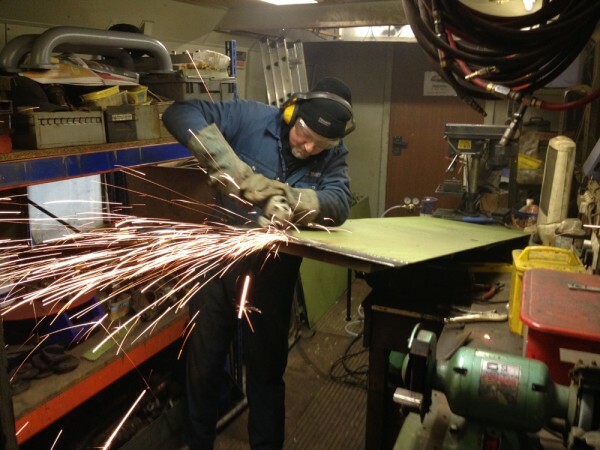 To finish the job we had to set up an angle grinder with a cutting disk. Dave and Graham spent some time removing the rubber door seal from one of the doors so that new parts can be ordered to replace them. Another item removed from the loco was the traction motor blower ducting that goes under the cab floor. 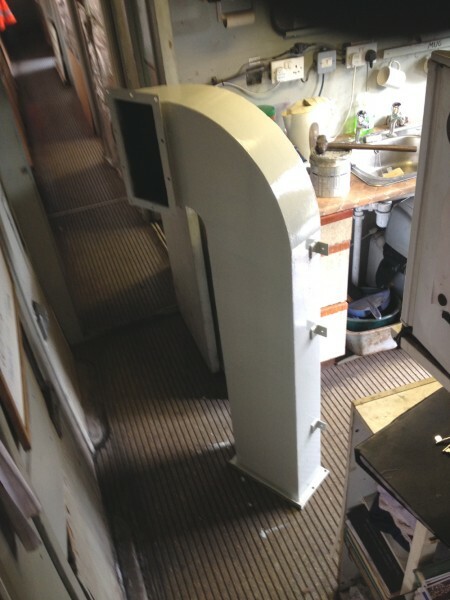 This is one of the few original sections of the ducting that remained on the loco when it was converted to a carriage heating unit and required painting. Graham gave it a couple of coats of gloss whilst Jim and Dave were working on the doors. The work that had been completed on the doors was also painted and that was the end of the jobs for the day.